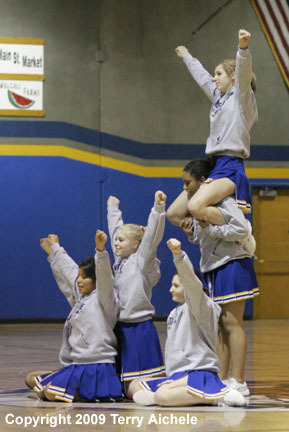 STANFIELD - The Stanfield high school cheerleaders brought in a young mini camp group to the senior night game on Friday, February 13, 2009. 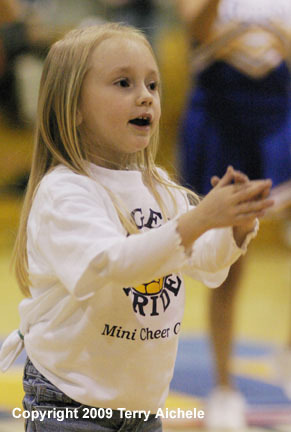 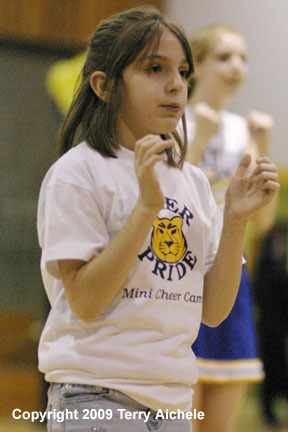 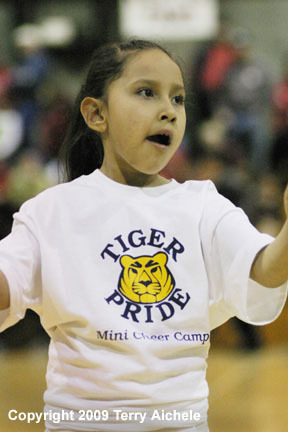 The young cheerleaders did several routines to the delight of the parents and the crowd in general. 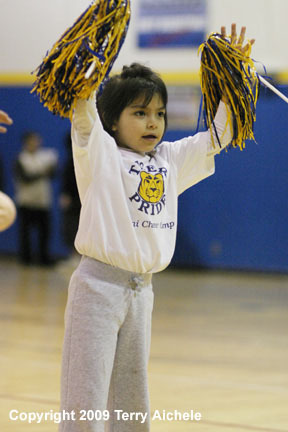 The young cheerleaders showed enthusiasm and coordination in their cheers. 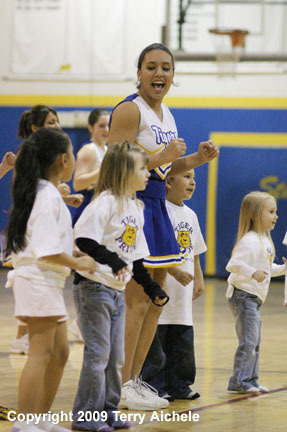 LEFT - Stanfield High School cheerleader Darshae Hunter leads a group of young cheerleaders in a routine. 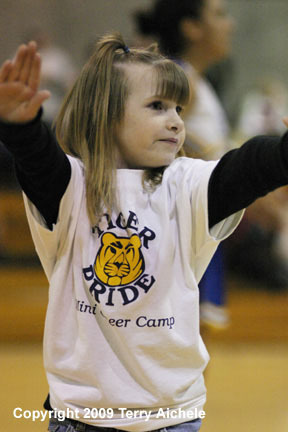 RIGHT - The balance of the photos are of the young mini camp members performing their cheers for the crowd.